The International Association of Privacy Professionals named Dr. Lorrie Faith Cranor, CIPT, the winner of the 2018 Leadership Award. Cranor will accept the award at the IAPP’s Global Privacy Summit March 27. With more than 20 years of experience, Cranor reflected on the growth of the privacy profession. “It was interesting when I started working in this area, I was working almost exclusively with lawyers and privacy wonks. Sitting there as one of the only engineers in the room, I did sometimes wonder ‘what am I doing here?’” Now, she said, it has become increasingly recognized that yes, more engineers should be in the room. Since getting her start, Cranor has developed a list of accomplishments and positions. Now professor of computer science and of engineering and public policy at Carnegie Mellon University, Cranor helped develop and is now co-director of CMU's MSIT-Privacy Engineering masters program as well as director of the CyLab Usable Privacy and Security Laboratory. While on leave from CMU in 2016, Cranor served as the U.S. Federal Trade Commission's Chief Technologist, helping to inform DC’s policymakers and regulators on all things tech. 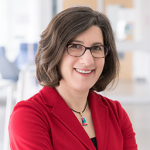 No matter her path, Cranor has undoubtedly had an impact on the privacy engineering field, not only in terms of research, but through her involvement in creating excitement among the up-and-coming privacy engineers at CMU and working to ensure they have the support they need as they start their careers. IAPP President and CEO Trevor Hughes, CIPP, said, “Lorrie Cranor, for 20 years, has been a leading voice and a leader in the privacy field. She developed some of the earliest privacy enhancing technologies, she developed a groundbreaking program at Carnegie Mellon University to create future generations of privacy engineers and she has been a steadfast supporter, participant and leader of the field of privacy for that entire time. Her merits as recipient for our privacy leadership award are unimpeachable. She’s as great a person as we have in our world,” he said.